oh, Mother!, What's going on? Those were the words of PHIVOLCS Director Renato Solidum during SM’s Green Retail Agenda of 2014. I was reminded of what he said when he issued another warning recently about a possible “mega earthquake” that would hit areas within the West Valley Fault Line. According to PHIVOLCS, this mega quake would be above magnitude 7. To give you an idea, the devastating earthquake in Bohol in 2013 was recorded at magnitude 7.2, leaving behind more than 200 casualties. In August 2, 1968, the Casiguran (Aurora) earthquake was at 7.3 and was felt all the way to Manila. This was the same earthquake that caused the Ruby Tower in Binondo to collapse. PHIVOLCS has just released a Valley Fault System Atlas . I couldn’t access the agency’s website, but you can check out Rappler’s report that includes the Atlas, which was uploaded in 7 parts. So, what could possibly happen in Metro Manila when this strong tremor strikes? There can be faulting (fracture in rock formations), ground rupture, ground shaking, soil liquefaction, tsunami, landslide, and fire. In Metro Manila, for instance, a tsunami can go as high as 3.5 meters mean sea level if the earthquake reaches a magnitude 8.3. 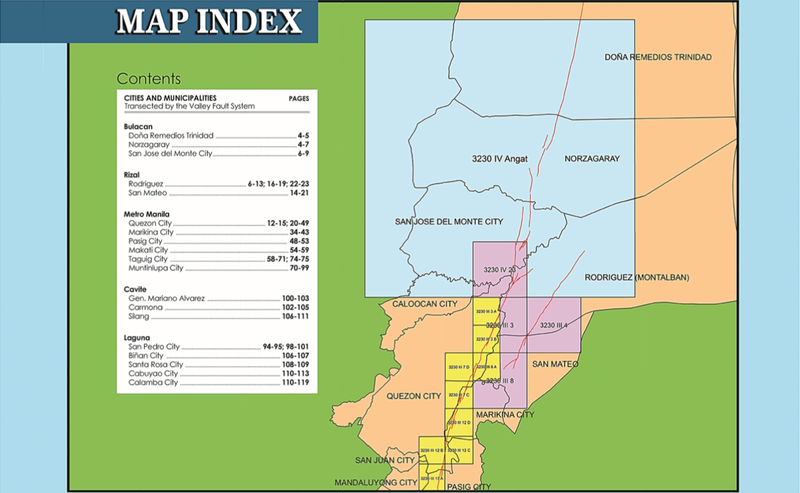 With the entire NCR as epicenter, key cities that are along the west valley fault line include Quezon City, Marikina, Pasig, Makati, Taguig, and Muntinlupa, Cavite, Laguna, and Rizal. Solidum said that the last strong quake in the Philippines occurred 357 years ago in 1658. Since the fault line takes every 400 to 600 years to have a disturbance, then we are due for another big one in about four decades. One might say: but it’s only 2015, and 43 years is a long way to go! True; which is why the best time to prepare for it is now. 43 years is a lifetime for some, and that should be enough to make ourselves “earthquake resistant” at least. We can use that time to get our acts together: review and update infrastructure integrity, building codes, disaster risk management plans, equipment, trainings, and knowledge. Solidum said that we have a good building code in place. The question is, is this being followed? I’d be long gone by the time this mega quake hits us, but today’s children will be at their peak when and if this happens. I shudder at the thought.